Catwoman's always been good at committing crimes, but she's never been particularly organized about it. 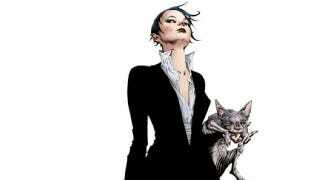 Yet in Catwoman #35, Selina finds herself in charge of Gotham City's most powerful crime families in a bold new take written by our friend and frequent io9 contributor Genevieve Valentine. Check out our exclusive preview! With art by Garry Brown (Five Ghosts, Iron Patriot), Catwoman #35 goes on sale next Wednesday, October 22nd. Don't miss it!